We give power to the entire organization, so users can manage their entire Dyntell Bi experience, including overseeing datasources, adding users and collaborating. When power users manage permissions and authentications, you’ll keep data securely in the hands of those qualified to use it. With your own B2B Interface report portal, you can easily share dashboards and visualizations securely throughout your organization. It’s simple to set permissions so that different users see different things, depending upon their position or scope of work. When you’re ready to share your insights externally, you can send charts, document-based statements, invoices, deliveries not yet invoiced, receivables or their structure. Just send an email to your manufacturers, wholesalers, partners and more. 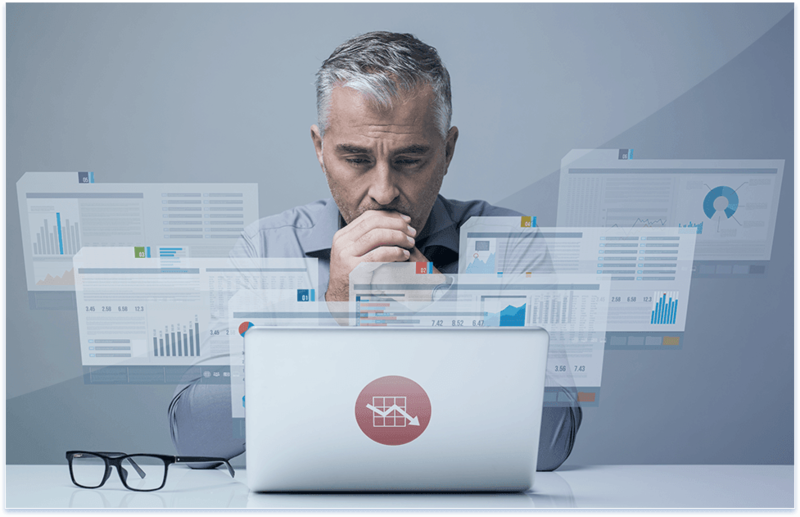 With Dyntell Bi you get both the open access that cultivates insight–and the responsible monitoring that produces peace of mind. Collaboration across the organization is a beautiful thing. 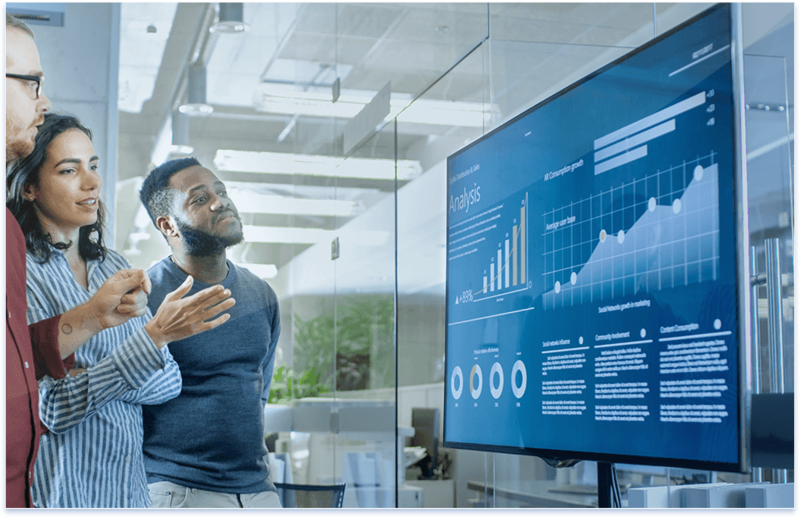 Make an impact with a customized executive dashboard that you create directly from your displays. Access it from anywhere through the internet. Then take it one step further by sharing a slideshow of the views for a powerful presentation that can turn your raw information into pure inspiration. Powerful stuff. We’ve made communication lightning fast so you can share your ideas at the speed of insight. You can skip the tedium of pulling together emails and other communications to disseminate reports. You’re just a click away from instant distribution. Pre-defined statements, diagrams and tables are embedded in an e-mail or sent as an attachment in a flash, so reporting becomes automatic. And, when fresh data is uploaded, all with access will see those updates in real time too. This is the way to collaborate. 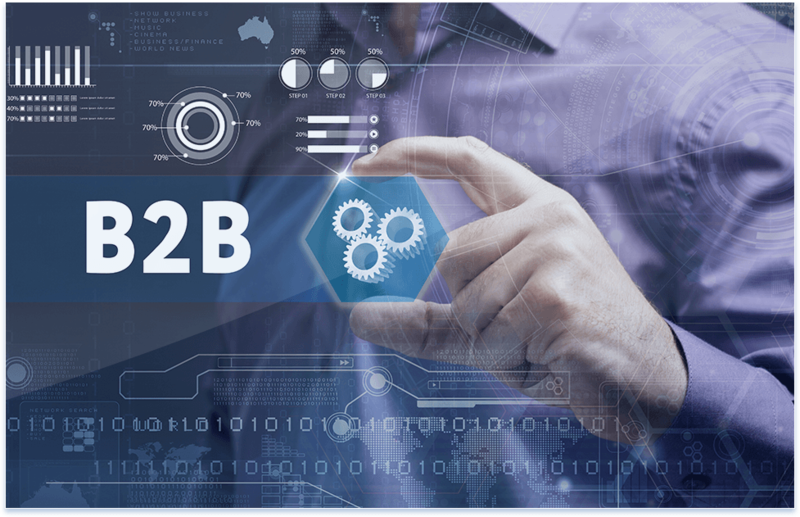 When your team extends beyond your internal group, use our comprehensive B2B interface and publish your views to WebBi, a proprietary and secure portal that you can share with manufacturers, wholesalers, vendors, whomever you’d like to invite. They will receive a token that provides all or partial access to your views through their browser, with no software necessary. You can share as many views as you’d like; the number is limitless. Tokens themselves will expire, so you can refresh when necessary. Not only will they be able to see the views, but they’ll be able to manipulate these fully interactive charts and graphs. With this portal, you can send critical decision-driving information like inventory stocks, best selling products, the number of returned goods and more. Trends materializing in real time will help your team optimize opportunities. Take whatever items you use to organize your data, including document-based statements, invoices, deliveries not yet invoiced, receivables and their structure and more — and share them with your entire team. It’s your go-to spot for proven progress.